The slowly gentrifying, Inner West suburb of Petersham is home to a great number of classic pubs, many of which have stood for decades. Only recently have a few of these embraced craft beer, spurred by the growth of breweries and bars in the surrounding suburbs of Marrickville and Newtown. No longer lying in the figurative shadow of these larger and more popular suburbs (but still lying in the literal shadow of a majestic and, frankly, iconic water reservoir), the pubs of Petersham are giving locals a fantastic opportunity to enjoy the massive range of local beer that the Inner West is famous for, along with relaxed atmospheres, spacious beer gardens and world-class pub grub. 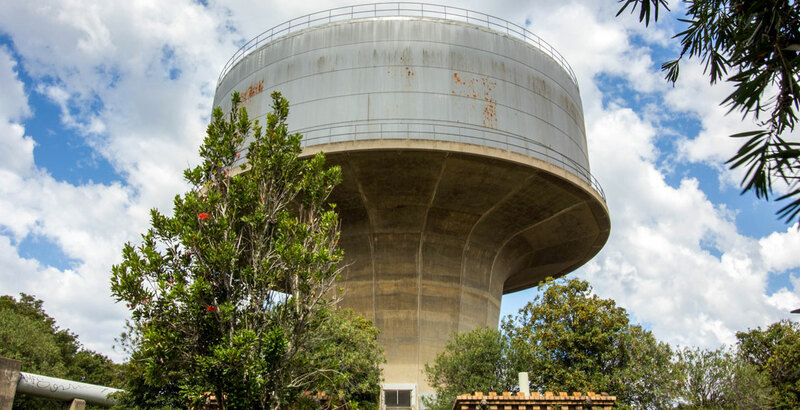 Petersham is a suburb in which to raise a family, so all of the listed venues are safe and friendly for children and pets too. 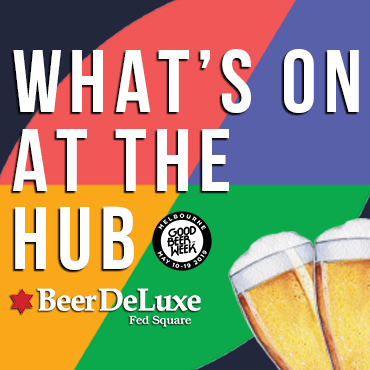 The suburb isn’t large – it takes only 15 minutes in total to walk from the first venue to the last, meaning the concentration of craft beer to area is quite significant. That said, the order given can be taken with a grain of salt, any permutation is equally as valid. Either way, there will be a need to backtrack, especially if arriving by train, given the station lies smack bang in the middle of all the pubs. In this case, we start at Petersham’s far end. 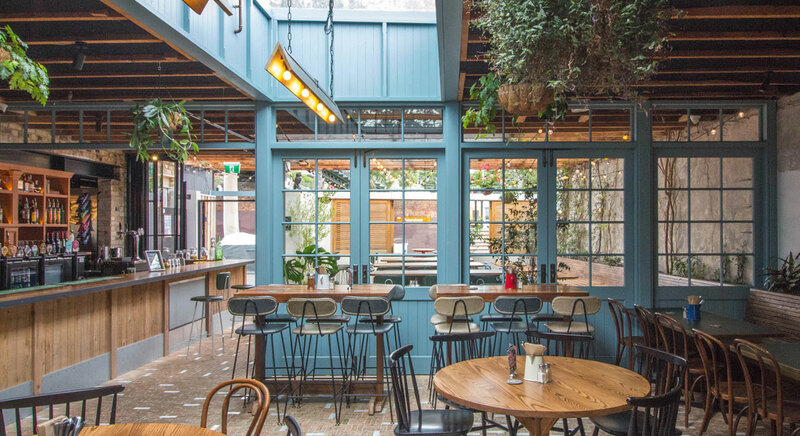 The first pub in the suburb to start offering craft beer and good food back in 2015 (although the Petersham Bowling Club – see below – had been pouring local crafties for years by then). The highlight is the massive undercover beer garden, featuring long, communal style picnic tables around which large groups of friends and family can gather. In the summer, short bursts of mist cool the crowd, in the winter, bar heaters warm them up. The beer on tap is a mix of macro classics and crafty locals, mainly easy-drinking pale ales and lagers for the outdoor-loving crowd. That’s joined by slightly more varied packaged options in the fridge, which also feature some interstate brewers. For a long time, the PHP (as it’s known to locals) has been a supporter of Batch Brewing Company, with an entire wall of the bar dedicated to decals of the Batch beers poured over the years and plans to work even closer with the brewery being on the horizon. A wood-fired pizza oven in the beer garden offers a range of delectable, Napoli-style pizza. Although the menu does offer other options, the sign affixed to the building simply declares “Beer & Pizza,” so it’d be a bit silly to order anything else. Go back to the O.G. at Public House Petersham, 292 Stanmore Road. The Oxford Tavern has always been the grungy heart of Petersham, once declaring by way of bright neon signs on New Canterbury Road “Cold Beer” and “Live Hot Girls.” Thankfully, the new owners, who also own The Taphouse and Odd Culture in Darlinghurst, have amended not only the signs, which are now significantly classier, but also the beers on offer. Along with the Aboriginal and Pride flags flying atop the exterior, these improvements have served to further cement the Tav’s place as the spot for the socially-conscious, younger crowd. It offers exclusively craft brands, with not a drop of multinational-brewed beer in sight. That’s a huge change from the pub pre-2019, which offered almost zero craft beer options. That’s a huge change from the pub pre-2019, which offered almost zero craft beer options. Eventually, there’s a plan to open a brewpub in the basement called the Oxford Brewing Racket, but until then the Tav has partnered with Canberra’s Capital Brewing Co to create a range of unique beers. What has stayed largely the same is the outdoor beer garden (noticed a theme, yet?) and the delicious house-smoked BBQ named Black Betty, offering Southern US-inspired Wagyu brisket and chicken. On Fridays, there’s live music night “No Hat, No Play”, which is not only the most Australian name for anything ever, but a welcome change from the drastic lockout laws that have significantly affected Sydney’s nightlife. In fact, the venue is lockout-free on Saturdays, keeping patrons well hydrated with craft brews until three in the morning. 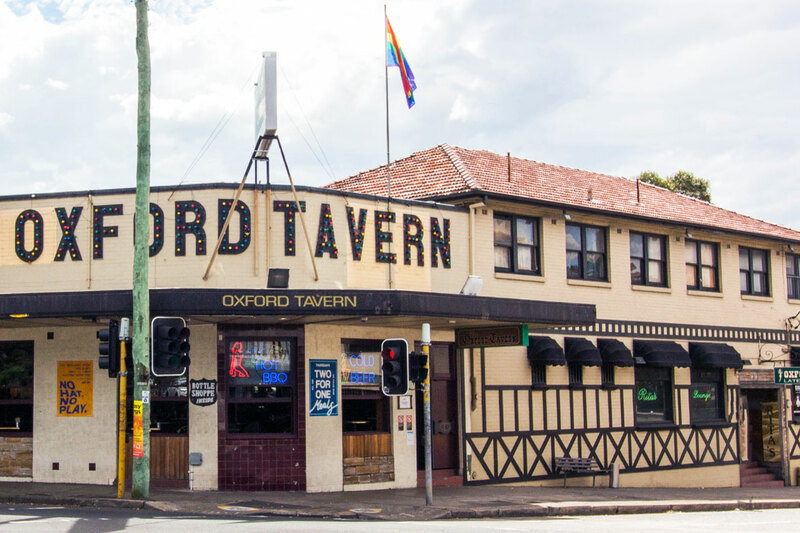 Enjoy delicious BBQ and dance until morning at The Oxford Tavern, 1 New Canterbury Road. Sitting right next to Petersham train station is the White Cockatoo Hotel. 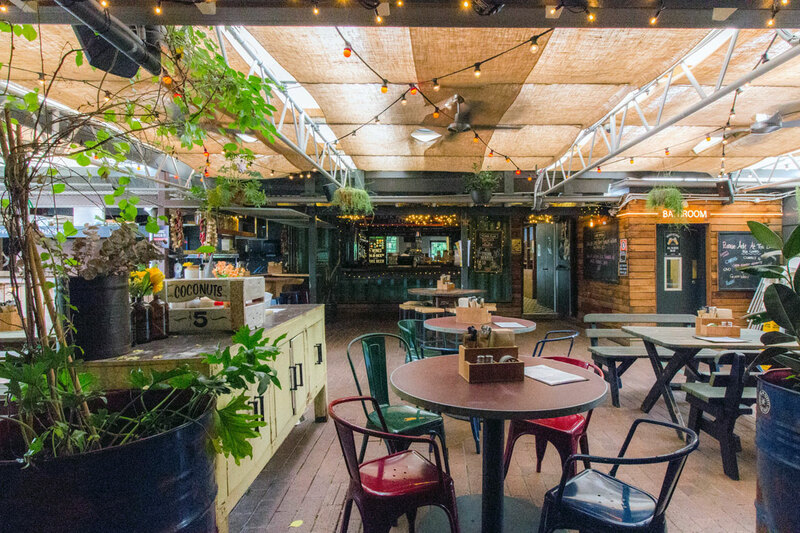 It’s changed hands a lot over the past few years, but in 2017 became the third signing for the owners of Marrickville’s The Henson and Newtown’s Sydney Park Hotel. Stylish and well-designed, the exposed brick façade and shuttered windows are reminiscent of the nearby townhouses, but with a touch more class. The main bar splits the venue almost in two, one side with giant screens and high tables to watch sports, the other with dining chairs and – you guessed it – a mini beer garden, perfect for families and group get togethers. The taplist is small but fresh, with an almost equal share between big brands and craft beers. It seems as though each tap is dedicated to a specific brewery, but the beer on offer changes depending on the season. Where the White Cockatoo really shines is the bottleshop, which offers almost every packaged release from most Inner West breweries. The beers can be taken away or enjoyed inside the pub, and there’s also a small deli fridge for cold cuts and cheese. The focus on food isn’t just restricted to the deli, but rather the entire menu. Gourmet twists on classic pub food like burgers, schnitzels and pasta at affordable prices make this a great place for a high-class meal. On Wednesdays, these can be enjoyed during trivia night, where rumour has it Crafty writer Judd “I Won Pointless” Owen honed his random question-answering skills. Along with a pool table and proper hotel rooms suitable for medium- to long-term stays, there’s almost no reason to leave. Eat a delicious meal and play trivia with a D-grade celebrity at the White Cockatoo Hotel, 30 Terminus Street. 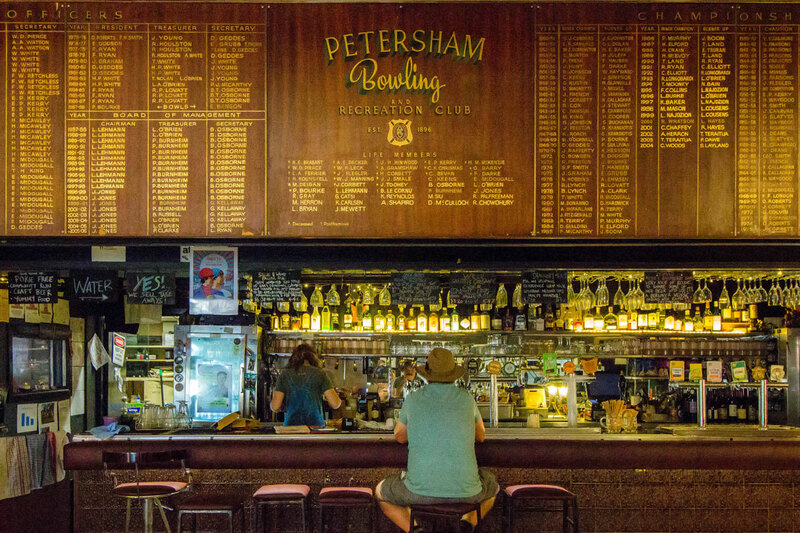 Likely the most relaxed venue on this list, Petersham Bowling Club has perfected the balance between nostalgic Australiana and modernisation. Many vintage pieces from days gone by still remain, but parts of the venue have been given a complete overhaul, particularly in regards to the beer menu. Everything on tap is craft, but rather than restricting themselves to just the Inner West, the offerings also range from regional NSW to Perth and everywhere in between. As for food, the menu is small but quality, with the family-run kitchen serving counter-style meals and a range of pizzas. The small stage in the corner plays hosts to live music throughout the week, featuring up-and-coming and established artists alike. When music isn’t playing, the venue acts very much as a community centre, offering a space to host life drawing classes, games nights and various local events. The PBC are so committed to their local community that they’ve also undertaken a variety of sustainability initiatives including the installation of solar panels and implementation of a recycling program. Of course, if you can drag yourself away from the hundreds of vintage tidbits and photographs adorning the walls, there’s also the reason this place exists – several large outdoor bowling greens. Available whenever the club is open, these attract the masses on one of Sydney’s many sunny days. The PBC is also proudly pokie free, encouraging people to go outside, play some bowls, and make friends within the community instead. Play lawn bowls with craft beer in hand at Petersham Bowling Club, 77 Brighton Street. You can read our feature on clubs reinvigorating their offering with craft beer here too. Other crafty offerings include Petersham Liquor Mart, which sometimes has some cool stuff in its fridges, Fich is a restaurant with Grifter on tap. We'll update this with Batch's second venue once it's open – and are looking to run an event there for members too so watch this space. You can find other Crafty Crawls here and all of the above venues plus hundreds more in the free Crafty Pint app. NB "Crafty Crawl" is our catch-all title for suburb, area or PT line guides to good beer around Australia and we're not suggesting you take any of them on in one go unless, of course, they're approached sensibly. 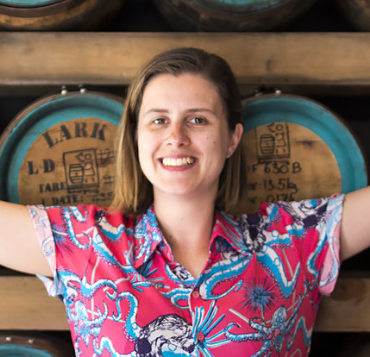 Marie Claire 'MC' Jarratt hated writing essays in High School and now gets paid to write about craft beer (and has won an award for it), which she finds very funny. She has recently completed her PhD in experimental physics and hopes to combine her knowledge of science and beer to develop better brewing processes. She can be found on Instagram and Facebook. I moved from the craft beer wasteland that is Sydney's Upper North Shore, where I grew up, to the Inner West and went on to visit every craft brewery there within a fortnight. I then did it again, but blogged about it the second time. The articles were so terrible I've since deleted them from my website. Batch Chapeau or any other seasonal fruited sour: Sours are a good way to showcase that not all beer is bitter, but the addition of fruit adds a bit of sweetness that combats that sour. It's also a really good thirst-quencher for the hot, Aussie climate. Modus Operandi Former Tenant: On the other hand, there are people that love the bitterness in beer and this is a great one that starts to become a bit more complex, challenging and interesting than the usual fare. I recommend drinking this one at the brewery - the drive is worth it! Philter XPA: This is just a normal beer that tastes like normal stuff that people are used to - but it's made by your mate, not a big corporation. Plus, the can looks cool. Garage Project Whittaker's Chocolate Beer: I brought it back in my suitcase after visiting my family in Wellington a few months ago and after a long, hot summer since, the weather was finally cold and rainy enough to enjoy it.